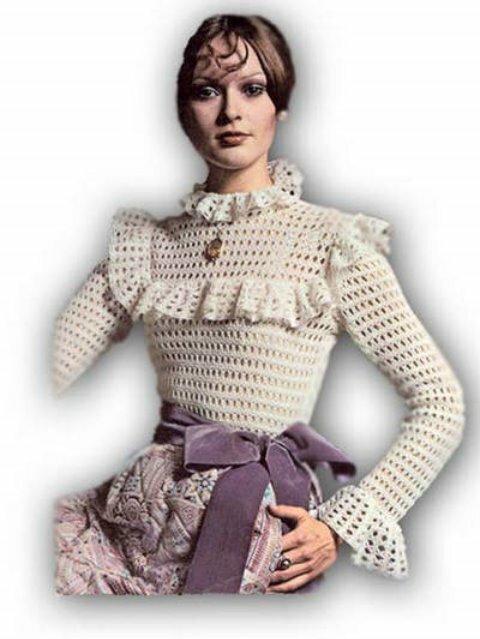 Victorian style crocheted blouse pattern. Buttons in back. Actual crocheted Bust measurements (not your body measurements): 8 = 34", 10 = 35", 12 = 37", 14 = 39", 16 = 41". Includes a color picture, full instructions, and an abbreviation key. From a vintage J. & P. Coats booklet.